In other words, Sternberg is saying that if a new stadium were going to turn the Rays into, say, the Boston Red Sox or even the Washington Nationals, then he’d be happy to spend money on one. But building a new stadium just to have a new stadium doesn’t make any sense if it’s not going to generate any new revenues. Which, hey, is pretty much exactly the dilemma I spelled out last week in Deadspin, though Sternberg seems too have missed the corollary conclusions that Tampa might have this exact same problem, and that maybe building a new stadium isn’t really a “solution” to anything anyway and he should instead focus on how to get fans to games at his actually existing ballpark. Sternberg also said he could have levied threats to try to get Tampa to offer more money toward a stadium but “that’s just not my style,” then dropped a threat — not quoted directly by Topkin, only paraphrased — that if there’s no stadium solution soon he’d have to start looking elsewhere for a new home once his lease expires after 2027. Speaking of rich-guy membership having its privileges, it sure must be nice to be able to say whatever you want in the sports pages whenever you want without fear of having your assertions questioned. “It’s like a secret sauce—there’s a dash of bad ownership, there’s a dash of previous cities’ allegiances because it’s Florida and everyone moves here from somewhere else, there’s a dash of hard to get to,” says [St. Pete urban designer and Rays fan Josh] Frank. The problem then becomes: How do you solve a problem that is really five problems at once? Building a new stadium in St. Pete is only a solution if what’s keeping fans away is the Tropicana Dome; moving the team to the Tampa side of the bay is only a solution if the problem is that nobody wants to drive to St. Pete; Sternberg selling the team is only a solution if personal antipathy to the way he’s run the team is turning fans off; and so on. And if it’s everything, that’s going to be hard to solve in one fell swoop, or maybe at all. None of which is the Tampa Bay area’s problem, obviously: It’s Sternberg who has to figure out how to sell tickets (or, you know, not and live off his TV revenues, which should remain decent since Rays fans do watch games, they just don’t go to them). He could move otherwise, yes — in 2027 when his lease is up, anyway — but even then, unless one argues that the presence of an MLB team is worth enough to pave over the bay and build a new stadium in the middle of it, this still is a problem for the guy who bought the team, not for the city that he bought it in. It is going to make for a very interesting runup to 2027, though, as Sternberg likely continues — possibly rightly — to turn up his nose at spending a lot of money on a new stadium because he doesn’t think it’ll pay off for him, while local governments — definitely rightly — say they don’t wanna pay for one neither, because where the Rays play, even if it’s Montreal, isn’t much skin off the region’s economic nose. The Rays stadium situation might just be a lose-lose scenario, then, where no option, including moving out of town, will vault the franchise into the middle range of MLB attendance, and revenues; that’s not the worst thing — somebody has to be at the bottom, after all — but it does mean that Rob Manfred could have a long wait before the Rays situation is “resolved” and he can start collecting those sweet, sweet expansion fees without fear of closing off potential Sternberg relocation threats. The history of Florida’s state-level sports subsidy program is a weird one: Back in 2014, the state legislature, tired of dealing with constant competing asks from all of the state’s sports owners, set up a ranking system for teams to request a cut of $12 million a year in sales tax money. The next year, the panel doing the ranking approved all of the applicants, which totally defeated the purpose because there wasn’t enough money in the sales tax pool to fund all of them; the year after that, the state was asked to fund three projects that were already underway regardless of whether they got the money. It’s such a mess that no money has ever actually been approved, which while kind of a silver lining if you believe the numbers showing that the state massively loses money on these subsidies. Lee noted that the first four applicants way back in 2015 — the Jacksonville Jaguars, Miami Dolphins, Orlando S.C, and the Daytona International Speedway — all continued with their stadium projects even after the state rejected approving funding, which has “done the best job of anybody to make the point that these aren’t really economic development incentives,” since any economic development happened exactly the same even without the subsidies. Of course, as Lee also noted, Florida can always approve stadium funds on a case-by-case basis, as it has done in the past. It’s hard to know what to think of this: Eliminating a stadium slush fund normally sounds positive, but if the sheer stupidity of the state funding process has dissuaded team owners from even asking for money … it’s a tough call. If I were a Florida state legislator, I’d probably call Stu Sternberg and ask what he thinks of the bill, and then vote the opposite. MLB commissioner Rob Manfred declared Friday that “the focus is on St. Petersburg” for a new Tampa Bay Rays stadium, indicating that team owner Stuart Sternberg will begin negotiating for a new home on the Pinellas County side of the bay. Which, you know, of course he will: Following the collapse of talks for a new stadium across the bay in Tampa when it turned out he didn’t wanna pay for one and nobody else did either, Sternberg is locked into a lease that won’t even let him think about a stadium elsewhere until 2027. The problem here, as always, is money: Pinellas County has more uncommitted tax revenue available to offer for a Rays stadium, but that doesn’t mean it makes any sense for the west side of the bay to throw money at Sternberg, especially when right now he has zero other options. And Sternberg isn’t wrong that being on the more-isolated St. Pete side of the bay limits the number of fans who can easily get to games — the drive from Tampa is difficult, from Orlando damn near impossible — so if he didn’t want to chip in more than $150 million (plus maybe naming rights money) for a Tampa stadium, it’s tough to imagine him wanting to dig much deeper in St. Pete, though he could raise a bit more either by cashing in his shared rights to develop the rest of the Trop site, or selling them back to the city. “We are still committed to the region and would like to see a solution,” Manfred said. “Certainly St. Petersburg is an alternative. It may be that there’s another opportunity on the Tampa side at some point in the process. The one thing that’s clear is that the rest of baseball’s owners would really really like the Rays (and the Oakland A’s) to decide what if anything they’re going to do about new stadiums, and soon, both to boost their revenues (hopefully, though if new-stadium smell comes with new-stadium debt it might not make a huge difference) and to clear the path to talk about raking in some sweet, sweet expansion fees from cities like Montreal that would no longer be needed to hold out as threats against Tampa Bay and Oakland. But as Manfred should know, you can’t hurry extortion — you just have to wait. City Council member Charlie Gerdes wants clarity, and believes it would be prudent for city, county and state officials to come up with the amount of public money that could be available to help fund a new St. Petersburg ballpark. Gerdes hopes that will make it easier for the Rays to stay — or at least decide their future sooner. “We need to go to them,” Gerdes said. “I think we all need to be able to look each other in the face and say ‘we did everything we could’’’ in the event the team decides to leave. Others believe the Rays must make the first move. 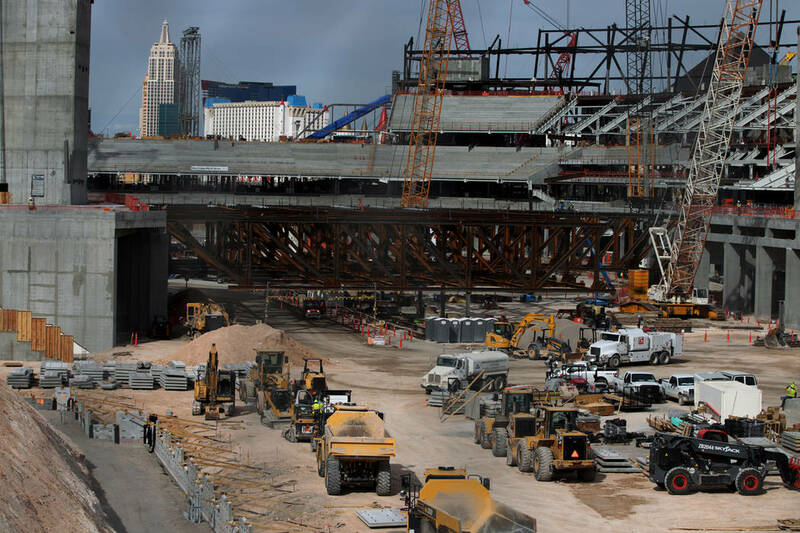 “If they aren’t interested in ever pursuing a new stadium, there there’s no need to start convening all the other folks together and saying ‘what do we think we can realistically come up with,’” Mayor Rick Kriseman said. Now, I know that the Times is just reporting what Gerdes and Kriseman are saying, but reporter Josh Solomon really should be pointing out that neither of these arguments entirely makes sense. Especially Gerdes’s: Offering Sternberg a set stack of dollar bills isn’t going to “make it easier for the Rays to stay,” unless maybe you think you’re going to so massively overbid that it’s an offer he can’t refuse — which presumably isn’t what Gerdes is trying to say? Or not say out loud, at least? Kriseman’s response, meanwhile, is just a little garbled — clearly Sternberg wants a new stadium — though he is right to point out that it is a little weird to start offering the Rays owner public cash for a plan that he hasn’t even expressed an interest in. Really, the mistake here is in St. Petersburg officials considering the Rays stadium situation to be the public’s problem at all: The city gave Sternberg an opt-out to go build a stadium elsewhere in the region if he wanted, and he couldn’t find anyone to give him the amount of money that he wanted, so he didn’t do it. Which is all fine, but it doesn’t make it St. Petersburg’s crisis. The subtext of all this — which, to be fair, Solomon does spell out — is that St. Petersburg would like to redevelop the Tropicana Field site, which it can’t do until the Rays move out, so it can’t start planning until it knows what Sternberg will do. Except, you know, that the Rays’ lease expires in 2027, and they’re almost certainly not getting a stadium built much before that, so if Kriseman really wants to start planning a new development there he can just send Sternberg a “you’re evicted in eight years” notice, and everybody can plan just fine. Except Sternberg, but that’s not St. Petersburg’s problem — unless you think keeping the Rays is more important than redeveloping the stadium site, which seems to be not the point of this article? Maybe it’s just the editor in me, but reading this suggests an entirely different, better article that would have begun by analyzing the situation the city of St. Pete is in: salivating over the stadium land, but also not wanting to be accused of driving the Rays out of the region. (It kind of heads in that direction, but then veers off and never quite makes it back.) Which is indeed a dilemma! And then you could ask Gerdes and Kriseman and other local officials what they think the city’s priority should be, and how much it would be worth to St. Pete to clear the stadium off of that land, and whether it’s better to build sooner or wait until the Rays have left and are no longer entitled to a cut of redevelopment rights, and suddenly you have a story where readers actually learn something more than just “city officials yell past each other.” I know it’s 2019 and that’s not how most journalism works anymore, but I really don’t think I’m asking that much, am I? Tampa Bay Rays management has announced its first plan for the immediate future following the collapse of its new-stadium plan, and it involves that favorite refuge of the attendance-challenged: tarpaulins. Seating capacity at Tropicana Field will be reduced to about 25,000 to 26,000 under a renovation plan aimed at improving fans’ experience. The team on Friday announced plans to create a more “intimate” atmosphere, including the creation of the Left Field Ledge in the lower level featuring premium seating for small groups, and the elimination of the upper-deck 300 level. The capacity at the Trop previously was 31,042. The notion that closing off sections that nobody wants to sit in anyway creates more “intimacy” is, of course, kind of disingenuous: If done right it can make the dearth of fans a bit less obvious, but it’s not like it moves the remaining seats any closer to the action. (Notwithstanding that the Tampa Bay Times, no doubt parroting the Rays’ press release, says this move will “bring fans closer to the action.”) Mostly, what it does is create at least a little bit of ticket scarcity, encouraging fans to buy tickets to big series in advance, rather than thinking, enh, I’ll wait and see who’s pitching and what else I have going on then, there’ll always be seats available — which isn’t better for fans in any way (they have to take on the risk that the Rays will be out of contention when the games they’ve bought come around), but clearly can be better for team coffers. Plus, for any really popular games you can raise prices, and that helps make up for the extra 6,000 seats you can no longer offer for sale. That’s … not so good. What about their operating revenue? In short, closing off sections is a stopgap measure that isn’t all that significant to anyone, but at least shows an eagerness to do something, even if that something is only to acknowledge that it’s hard to get people to go to your games even when you’re winning. That’s not exactly the best thing to advertise in order to attract new fans, but then, now that Rays owner Stuart Sternberg has spent well over a decade telling Tampa Bay residents that their home ballpark is an inaccessible dump, it’s a little late to change course now. As covered here on Thursday, the collapse of the Tampa Bay Rays‘ stadium plans in Tampa does not make it more likely that the team will move out of Florida entirely; in fact, team owner Stuart Sternberg had to give up his option to look elsewhere in the bay area for a home, which was set to expire at the end of the month, and now is back under the constraints of the lease that binds him to St. Petersburg through 2027. Sure, he could try to break the lease and move out of state entirely, but 1) he would face a certain court battle, and 2) if he really wanted to do that, he could have done it just as easily years ago. The Tampa Bay Times’ John Romano, who in the past has been amenable to Sternberg’s claims that he needs public money for a new stadium so he can make more money, says that it only makes sense for Sternberg to refuse to put more money into a Tampa stadium, because this is about dollars and cents. Which, sure, but then so would be the decision on moving the Rays elsewhere, and though Romano writes, “There are cities desperate to be called a Major League town, and they will spend an eye-popping amount of money to make it happen. Portland. Montreal,” those cities have actually shown zero interest in spending eye-popping sums on stadiums, which is one reason why the Expos left Montreal, and why they went to Washington instead of to Portland. So really this comes down to “If nobody wants to build him a stadium, what will Sternberg do?” — but as the answer there can only be “Keep waiting and hope some sucker opens their wallet,” and Romano is trying to make Sternberg out to be a sympathetic businessman and not a three-card monte dealer, that won’t do, so instead we get “a stadium in Tampa is still within reach.” Which is … a good thing? Remotely true? Does it matter anymore, in the world of sports columnism? Then there’s Romano’s fellow Times columnist Martin Fennelly, who goes full wailing and gnashing of teeth to declare “Season’s Greetings from Montreal! Wish you were here!” and “I have not arrived slowly at wrapping my head around no more baseball” and “I want to be wrong. My summers have always been baseball summers, and I don’t want that to end.” (No, Fennelly is not really only 20 years old, but he grew up in New York, then moved to Tampa Bay in 1991 when … there was no baseball team, but maybe he’s just blocked out the entire 1990s because all the lack of local baseball was just so depressing.) And: “I’m not about to tell people how to spend their money, especially on stadium construction, though cities do it all the time. But no complaining if the Rays leave, okay?” If you people insist on not spending taxpayer money on stadiums like normal cities do, it’ll only be your fault if the Rays leave, so don’t come crying to me! I am very glad I am not Martin Fennelly’s teenage kid. Finally, we have CBC News, which reports that the chances of baseball returning to Montreal are “pretty good,” according to the guy who is trying to get baseball to return to Montreal, and who therefore certainly has no reason to overplay how successful he’s being or anything. Seagram’s heir and private equity fund manager Stephen Bronfman says he knows there are “naysayers,” but he is a “glass half full kind of guy,” and is “super excited,” and consultants Convention, Sports, and Leisure did a study that shows Montreal is totally ready to be an MLB market again, and those guys are total professionals, right? Number of naysayers, or even independent analysts, interviewed by the CBC reporter: zero. Look, Tampa Bay is, it has now been well established, a middling MLB market, but that’s still better than most non-MLB markets, since they are non-MLB markets precisely because they can’t even manage to be middling. All things being equal, would Stuart Sternberg make as much money running a team in Montreal as in Tampa Bay? Maybe! Would he make more? Probably not, all things being equal. Could all things not be equal, like if Montreal throws the kind of money at Sternberg that Tampa Bay is so far refusing to? Conceivably, but that didn’t go so well the last time, and the current Montreal mayor sounds at least somewhat skittish about promising piles of cash — saying “We need to evaluate what kind of participation, how we will collaborate, but so far, so good” and “if it comes to asking Montrealers for money, for example to build a stadium, yes, I will ask Montrealers” — so probably won’t to the degree that this is likely to turn into an international bidding war. 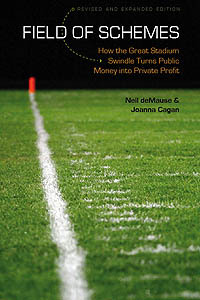 It is absolutely important to remember at all times that sports leagues have a monopoly on franchises, and can use that as leverage — but it’s also important to remember that there are only so many cities with the population (and TV eyeballs) to enable a pro sports team to make fistfuls of money, and cities can use that as leverage, too. Romano is right about one thing: This is a business negotiation, and team owners are just trying to maximize their profits (plus maybe their egos), and will use any advantage they can to do so; but there’s nothing stopping elected officials from doing the same. Right now, the Rays and Tampa/St. Pete are still in the staring-each-other-down phase of negotiations, so there are likely at least a few more summers of baseball left before anybody starts storming off and slamming doors. All of which is to say: Everybody take a deep breath, okay? I know it’s bad for clicks, but it’s good for making sensible policy decisions, and journalism is still about trying to inform people so they can make the world a better place — or at least that’s what the internet tells me. I don’t usually like to respond here to things that were only raised on Twitter, but this seems like an important one: Boosters of baseball in Montreal have seized on this week’s announcement that Tampa Bay Rays owner Stuart Sternberg has given up on a new stadium in Tampa for now as a sign that the team could be headed for relocation. And sure, their lease says that the Rays can’t move before 2027, but either Sternberg or a new owner can just get out of that by paying a lease penalty and then skedaddling. And then a whole bunch of dollar figures, which comes down to $3 million a year if the team leaves before 2023, and $2 million a year if it leaves before 2027. That wouldn’t be much of an obstacle if Sternberg wanted to move the team — but note that this only applies if the team wants to move to “another location in Pinellas or in Hillsborough” counties. There is no provision in the MOU that will allow Sternberg to move anywhere else in the world other than those two counties. Sure, he could try to negotiate one with St. Pete officials, and might even be able to do so once 2027 is getting closer and it’s a matter of “I’m gonna leave anyway, let me pay you some cash to let me do it a year or two early,” but there is no mechanism currently in place for him to demand to be allowed to do so. St. Petersburg got a lot of things wrong when it built its dome back in the 1980s — building a stadium without first securing a team was the worst move, since it allowed the city to be used as a stalking horse by MLB owners seeking to extract stadium cash from their home cities for a decade before the Rays finally arrived in 1998 — but it did a hell of a job negotiating one of the most stringent stadium leases in the world. Let’s all remember that as we hold our fun debates over whether the best relocated team name would be the MonterRays or the Charlotte Raes.